Born in the mines, raised on drilling rigs - rescue products made for work, not play ! 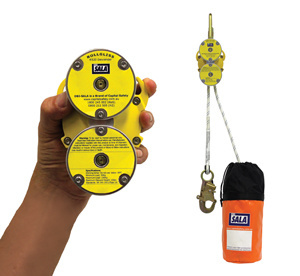 Smaller, lighter, easier and safe ! 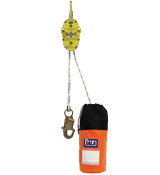 Hands-free, automatic descent for bucket trucks, aerial lifts, towers, cranes, buildings and more. Compact and lightweight design includes a dual, redundant brake for increased security and peace of mind. Bi-directional hub for multiple consecutive descents.